Like J.T. 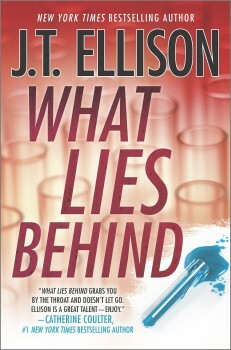 Ellison’s other thirteen critically acclaimed novels—including The Cold Room (Taylor Jackson Series), which won the International Thriller Writers Thriller Award for Best Paperback Original—the next book in her Sam Owens series, WHAT LIES BEHIND, will certainly have both fans and reviewers singing its praises, and sleeping with one eye open. 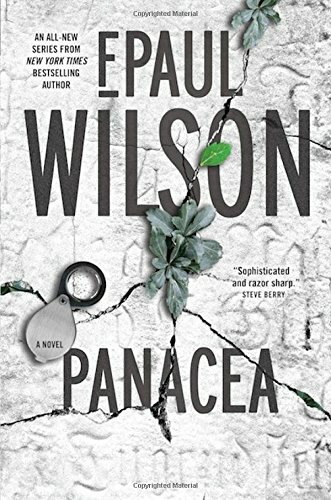 Formerly Nashville medical examiner but now based in Washington D.C. as a pathology consultant with the FBI, the life journey of Ellison’s protagonist, Sam, has been fraught with personal loss, emotional complexities, and professional challenges. Ellison explains how intricately woven plots and well-formed characters keep readers coming back for more. I knew early on I wanted to write about something that was possible to spread by casual contact (great band name, that.) Something virulent and unstoppable, that if released into our world could create a hysteric response and become a serious problem. I chose an Ebola-esque hemorrhagic fever, and got to work. You can imagine my surprise and dismay when the Ebola outbreak began in Africa. I was three-quarters of the way through the book, and my story was coming alive nightly on the TV screen. I had to do a lot of scrambling to make sure what I was writing was still unique, considering all the attention this was getting. By contrast, in Edge of Black, my villain uses ricin in the subway—equally deadly, but not as personal, because of the nature of how the attack manifests. I find the idea of someone infected with a virus, taking planes and spreading a disease, terribly scary. Of course, that’s the best topic to write about in a thriller, what scares you the most. Besides the bioterrorism plot angle, you’ve got your protagonist, Sam Owens, up against a serial killer, a government cover-up, and an assassin with a personal reason to avenge one of the novel’s victims. From a writer’s perspective, it’s not always easy weaving such complex plot threads into a satisfying conclusion. What is your process for plotting? Luck? I am not a great planner, though now that I use Scrivener, I find it much easier to pull together disparate threads. But this book was unique—the story was constantly changing; it deviated completely from its proposal. I had several people buy character names for charity, and I wanted to make sure they got their money’s worth, so I suddenly had several important cast members without a real story to back them up, only ideas. And of course, one (cough, Souleyret) refused to do what she was told. She was supposed to be a victim, and every day, she fought against that role, to the point where I had to split her into two characters, one live, one dead, and then the story came together. So I am instinctual with the work, for sure. I think it makes it more fun. The only issue is, I often have no idea who’s behind things—and I was 98% done with this one before I knew what was happening. It would be nice to have a little more control over my imaginary friends, you know? Your thrillers have been described as “intelligently written, intricately crafted” (Chicago Tribune). Personally, from reading your novels, I feel this has to do with the fact that you allow Sam and those around her to grow personally as well as professionally, from book to book. To the reader, this endeavor may seem almost effortless, but novelists know better. How do you check yourself so that you keep your heroine real and multifaceted? I just giggled knowingly reading this question, because like you say, authors are the only ones who realize how hard it is to make their characters three-dimensional. When I first started, I had no idea how to “grow” a character. Taylor Jackson was as solid, as black and white as you can get. I didn’t want her to change over the course of the books; I wanted her to be iconic. It worked, but wow, what a challenge. It’s much easier with Sam, who is processing a huge loss and dealing with grief and guilt and is drinking too much—all kinds of issues. Sam is forced to grow. If she doesn’t, she’s has no reason to live. The idea of coming back from mind-boggling grief, finding a way to first forgive yourself, then forge ahead with the rest of your life, calved like a glacier from your dreams, is something I found very interesting. Four books into the series, Sam is becoming more like the woman she was before her tragedy, but she will never be the same. It gives her so much texture, so many facets. I’ve learned my lesson in how to build a character, clearly. As long-time readers of this series know, there is a true love story between the two wounded leads of your story: Sam and Xander Whitfield—former Army Ranger sniper, now a private security specialist. What is your technique for moving them through their healing process through each subsequent book—both as a couple, and individually? I truly believe love can solve anything, in life and in fiction. I knew from the beginning that if Sam had any chance of recovering, love would be the reason. Xander is also damaged, has seen too much, lost too many friends, and in the beginning of the series, had consciously removed himself from society to cope. 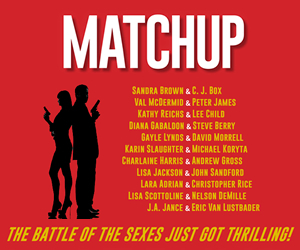 When they find each other in book one, they are on opposite sides of the case: he’s the suspect, she’s the investigator. I like that they found each other through that juxtaposition—it tells me Sam is a good judge of character, to be attracted to this man. He isn’t the kind of guy she’s normally attracted to, is the polar opposite of her husband, Simon. But he is honest and steadfast and protective and he loves her, and really, you can’t ask for more. Plus, he is totally hot. Their relationship is truly off the page in this book, which takes place in 24 hours, plus they’re on two separate cases, so there isn’t exactly time to bond, but they know they have each other now, and it makes them both strong. I think everyone needs a work husband, don’t you? In all seriousness, Fletcher is a great foil for Sam. He thinks he has a thing for her, though in his heart he knows they would not be good together romantically. Sam cares for him deeply, just not in that way. In book four, they’ve come to terms with this and are now working together. They complement each other as investigators, especially since Fletcher’s been made homicide lieutenant, and is being constrained by his office. As an FBI consultant, Sam has the freedom to do things he can’t. That said, one never knows. 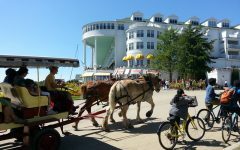 Attractions form for many reasons. People come in and out of our lives for a purpose. Love the hashtags, by the way. Hey, I’m all about starting Twitter trends! And speaking of foils, you’ve got an interesting character—and an emotional wildcard—in the character of Robin, a female assassin with a personal reason to kill: to avenge her sister’s death. How did you conjure her up? Will the reader see more of her in the future? Ah, Souleyret. The character who became two to satisfy the story: one part dead, one part alive. Robin is endlessly fascinating to me. She’s a CIA assassin who has been temporarily decommissioned after a roadside IED killed her team while they were on a mission. She also has synesthesia, which has been exacerbated by her head injury in the bombing, plus she’s lost her sister. Three big blows—which makes a wonderful stew for a character. Robin pranced onto the stage and stole the show for me. She became the crux of this story, and the push and pull between her and Samantha drives the narrative. I never like to discuss the future storylines, but I can’t imagine she won’t show up again, especially because she is a part of John Baldwin’s top-secret Angelmakers organization. You also co-write the A Brit in the FBI series with Catherine Coulter. What makes for a successful collaboration between two authors, especially when you’re on different sides of the country? Honesty, and tons of communication. We’re on email or the phone daily, talking about the story, the characters, what’s working, what isn’t. Having two brains to plot with is a huge blessing. I love working with her, we have more fun than should be allowed. We have a great time with Drummond and Caine. I split my year so I have time to work on my own books, and time to work on hers. That allows me the mental space to switch gears, switch voices, and make the most of both routes I find myself following now. Your novels are not only well crafted but your output of is consistent and proficient. What is your secret for juggling so many projects within a year? I have no real secret. It gets harder and harder, year after year, book after book. You’d think that experience would make things smoother, but that isn’t always the case. I spend a lot of time staring at my iCal, and I have an incredible assistant now, my chief of staff, who has really helped me focus on the things I want to be doing—writing, first and foremost, talking to readers, and helping other writers, whether it’s private mentoring or having them on the blog. I’ve been able to vastly increase the 7 Minutes With… interviews with her help. I also have the awesome chicks at Writerspace who help with my contest and newsletter. It doesn’t hurt that I have a natural inclination toward working, too. If I’m not writing, I get cranky. Trust me, it’s better for everyone for me to have my laptop open several hours a day. Usually, I ask, “what’s up next for you?” But from what I can see, your year is jam-packed with new releases, including another A Brit in the FBI book, and couple of anthologies (Mystery Writers of America Cookbook; Killer Year: Stories to Die For; Sweet Dreams Boxed Set). Two questions. First, from an “author business” perspective, what do you see as the plusses and minuses of juggling multiple series? And next, from both a reader’s perspective and an author’s perspective, when makes a multi-author anthology work best? Author business—gosh, I hate that we even have that term. I would love to live in a fairyland where all I had to do was write. Wouldn’t that be awesome? I am envious of our forebears, though I do love connecting with my readers. My biggest issue with the multiple series is switching voice between them. The Drummond and Caine novels are very different than mine, much more dialogue and humor driven, with a huge international landscape. I also worry about reader fatigue—with 10 separate releases this year between hard and soft and boxed sets and anthologies, I feel like all I’m doing is PR. I’ve had to take some time off writing to juggle everything this year, and I hate that. What I really want to be doing is writing and sharing goofy memes and library pictures, and talking about what books people love. I know it has to get so annoying to be constantly asked to buy this new release and that new release. So that’s the biggest issue after switching voices—being a salesman, which is not my natural state. I’m lucky my readers put up with it, honestly. 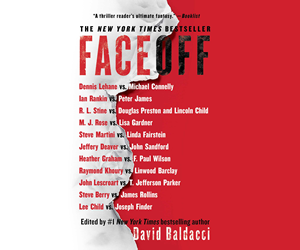 As far as anthologies go, I think something like Sweet Dreams, which houses some of the finest thriller writers out there, showcasing original work, or Killer Year, which introduced new authors to the scene, are great opportunities for readers to get a huge bargain and an introduction to multitudes of authors. This is still primarily a word of mouth industry. When a reader of Allison Brennan buys Sweet Dreams and is introduced to me, boom!—new reader. So they’re incredibly valuable to introduce your readers to other, similar authors. Themes are fun, too. The two anthologies I did with Erica Spindler and Alex Kava—Slices of Night and Storm Season—each had a thematic tie-in. I love doing those kinds of stories. What do you do to relax? And I must couple this question with, when do you relax? Oh, I relax. I force myself to. I try to put down my devices and be present in my life. I golf, so that’s immensely helpful—a four-hour break from the day, communing with nature, getting good exercise. I do yoga and meditate. I have lunch with my writer friends. I read, a lot. There is nothing better than a transcendent read. I watch movies and great TV—refilling the well. When I’m on deadline it’s not unusual for me to watch a movie a day, and read three to four books a week. I use the well-refilling time as a reward for making word counts. I like to travel, too. I find being on the road cathartic. I love good hotels. I don’t do much else. I’ve gotten to the point in my life where I know the things that are going to give me pleasure, and pursue only them. I’ve learned how to say no. And disengaging my brain regularly helps me be more productive in the long run. I sound so much more Zen than I really am. Not at all—just focused, and enjoying your own journey as an author. Thanks for sharing your insights with us. J.T. Ellison is the New York Times bestselling author of twelve critically acclaimed novels, including When Shadows Fall, Edge of Black, and A Deeper Darkness, and is the co-author of the Nicholas Drummond series with #1 New York Times bestselling author Catherine Coulter. Her work has been published in over twenty countries. 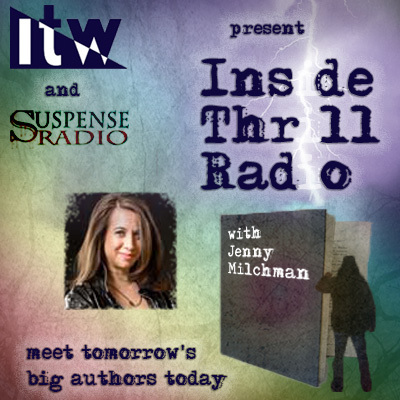 Her novel The Cold Room won the ITW Thriller Award for Best Paperback Original and Where All The Dead Lie was a RITA® Nominee for Best Romantic Suspense. She lives in Nashville with her husband. Visit her website for more insight into her wicked imagination, or follow her on Twitter (@Thrillerchick) and Facebook.